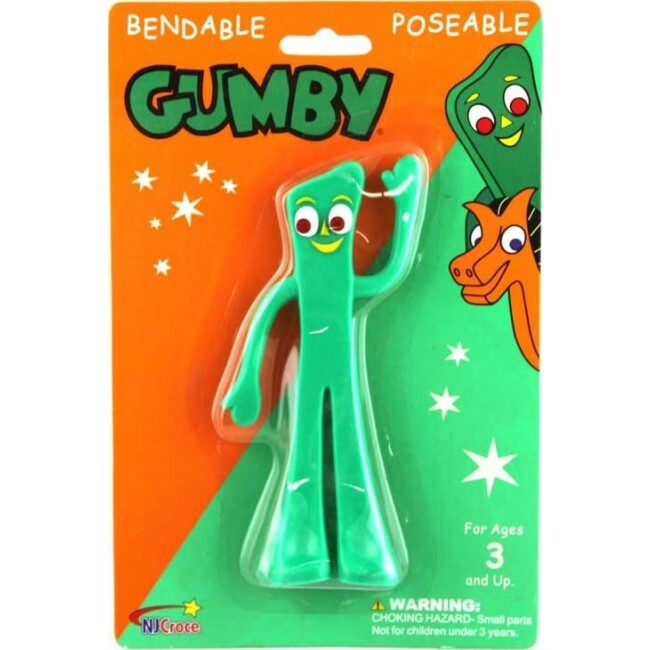 Gumby Bendable. 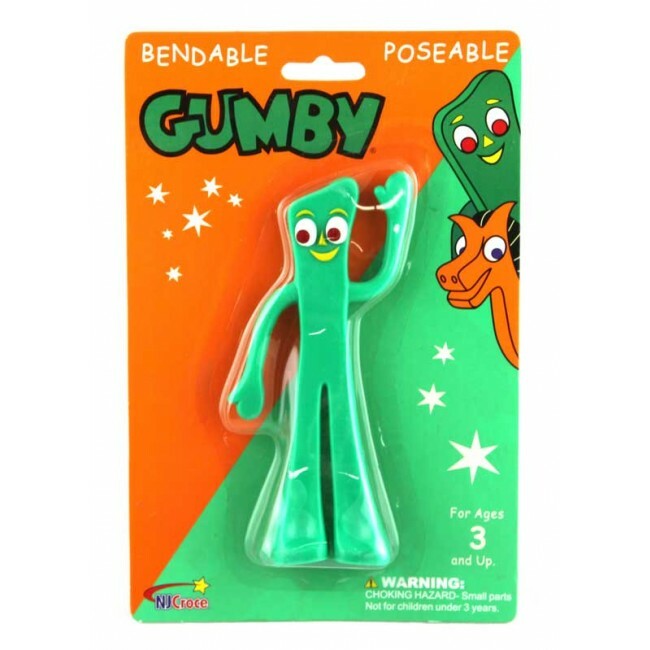 It's Gumby, the fun bendable toy for adults & kids. Show how flexible you are with Gumby! He measures approximately 6 inches tall. He sits, stands, hangs on, twists & bends. Washable & non-toxic.